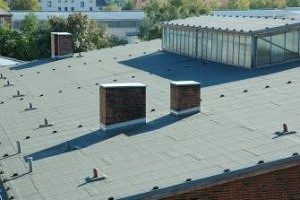 Our roofs for commercial businesses and industrial buildings have stood the test of time. As a roofing contractor that has 26 years of successful building experience, we are able to offer you iron-clad extensive warranties on both manufacturer materials and labour. Our professional experienced team, top suppliers, great warranty program, and full guarantee, make us stand out! 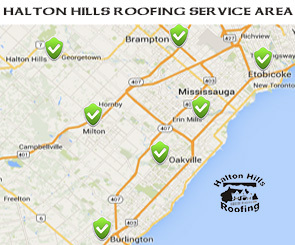 At Halton Hills Roofing, we place customer satisfaction in extremely high regard. You can expect excellent service from the moment you call for your free roof estimate to the immaculate clean-up job we do of any construction debris after your beautiful new roof is finished. We will offer you a free roof estimate, along with a free roof inspection and complimentary design consultation. No commitment and no obligations! We want to make certain that our clients get what they want, and understand all their roofing needs. call (905) 702-2306 and our team of roofing experts with deliver over 2 decades of expertise towards your flat roof! Our Industrial Flat Roofs use cutting edge, highly durable flat roofing products. This makes sure that you get the best price on enduring quality, care for the building and socially and economically responsible energy conservation. TPO (Thermoplastic Polyolefin) is a single-ply membrane roofing style that offers higher durability than built up tar and gravel style roofs. 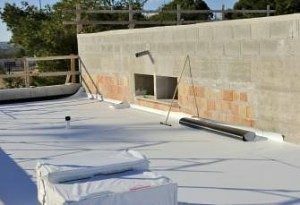 We can offer you high quality white TPO that will last much longer than your typical flat roof. The white colour will also create much better thermal control for your building, lowering your cooling and heating costs. Single-ply membrane roofs have higher upfront costs when compared to tar and gravel, but they have longer lifespans and repairs are much easier and less expensive should they be required. In the long term, a single-ply membrane option is generally the way to go. Simply contact us for your free appraisal and estimate. We have your commercial roofing, residential roof installation and roof repair covered!